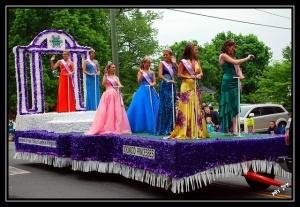 Like the current festival, the Apple Harvest Festival consisted of a parade and a carnival, as well as festivities in honor of the Festival's annual Queen. 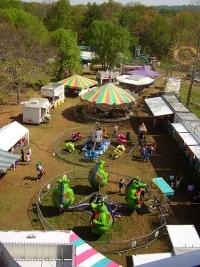 The carnival features rides, games, and food, and has been a popular attraction for decades. 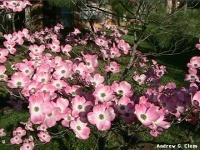 An annual Dogwood Parade is also a major part of the celebration. The preformers march through the city and the event is broadcasted on WVIR. The next is scheduled for April 21, 2018. ↑ 1.0 1.1 1.2 1.3 1.4 Web. "The Charlottesville Dogwood Festival", Smith, Elizabeth D. Wood, Google Books, retrieved 18 Nov. 2010. ↑ Web. 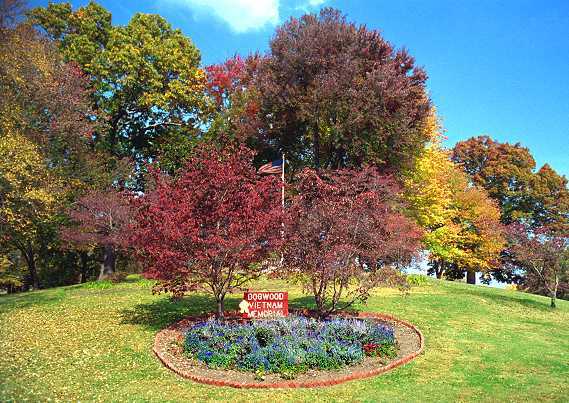 Dogwood Festival to Remain at McIntire, Won't Move to Mall, Daily Progress, World Media Enterprises, 18 Mar. 2010, retrieved Web. 19 Mar. 2010. This page was last edited on 15 February 2018, at 16:03.